When Visioneers, decided to go MobileLocals360, they weren’t just talking about running a business more efficiently through smart phones, laptops and tablets. Nor was this idea merely about adopting more cloud technology. Rather, it was about going mobile. As in, literally. Visioneers’ MobileLocals360 movement was conceived by founder and CEO, Andrew Hogan, who had a vision more than 5 years ago to be an all-terrestrial mobile coaching and facilitation firm. The decision to go mobile was born of a desire to see the natural world while he worked, and being able to be “at home” with his wife and three dogs. MobileLocals360 operates from a 2002 Airstream, customized to accommodate an office environment, complete with a MacBook Pro, iPad, iPhone, Verizon MiFi Puck with unlimited data, a weBoost cell phone booster and truckers antenna, and a whole lot more. In a world that is growing increasingly smaller through emerging technologies, evidence suggests that more people and companies are actually neglecting, and possibly even forgetting, to take the time to look up and notice the larger, splendid, natural world around them. In fact, according to Richard Louv, author of the book, The Last Child in The Woods, a new and growing body of research indicates that direct exposure to nature is essential for the physical and emotional health of children and adults alike. Supported by groundbreaking research, Louv identifies basic concepts that help individuals connect with the restorative powers of nature, boost mental acuity and creativity; promote health and wellness; build smarter and more sustainable businesses, communities, and economies; and ultimately strengthen human bonds. A California native, Andrew began his career as a County Park Ranger and Assistant Wildlife Biologist for the US Forest Service. Then after a short stint working for the IRS, Andrew traveled halfway around the globe hitch hiking on sailboats. Upon his return, he started his own retail site selection business that brought him to Europe after the fall of the Berlin Wall. A natural thrill-seeker and adventurist, Hogan began living out his bucket list, hitchhiking across Australia and New Zealand, then traveling throughout Mexico during his twenties and thirties. He even held onto a dream of being invited to participate in the America’s Cup, and watched as that dream came to fruition. After some robust travel, Andrew settled down and launched Visioneers during the economic boom of the late 1990s, providing coaching and consulting services to companies like Hewlett Packard, Gap and Polycom. But when the devastating recession struck the US in 2008, Andrew found himself struggling to make ends meet. He lost nearly everything. Now ten years later, after having recovered his career in corporate America, Andrew, age 55, is on his way again to creating yet another innovative, and extraordinary business model, expanding his company’s reach and impact all across the United States. 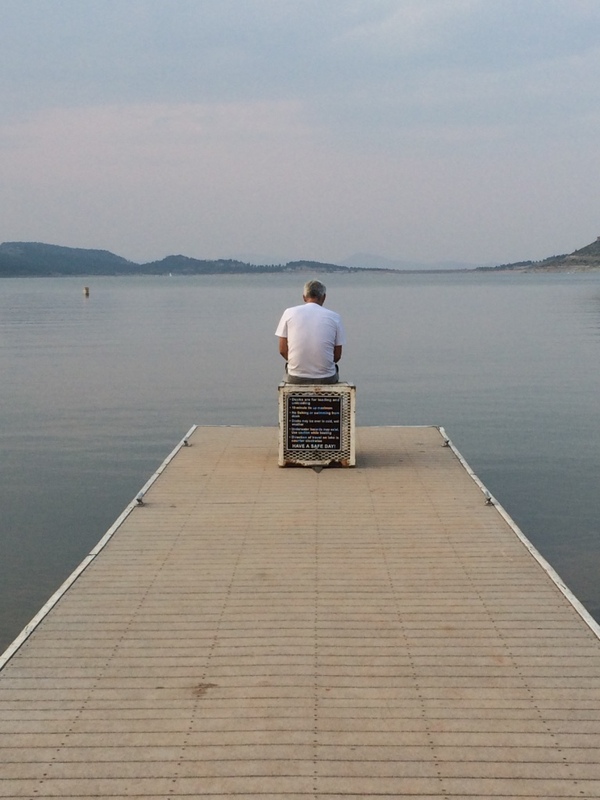 Recently married, he has embraced life on the road with his new bride and their three dogs. 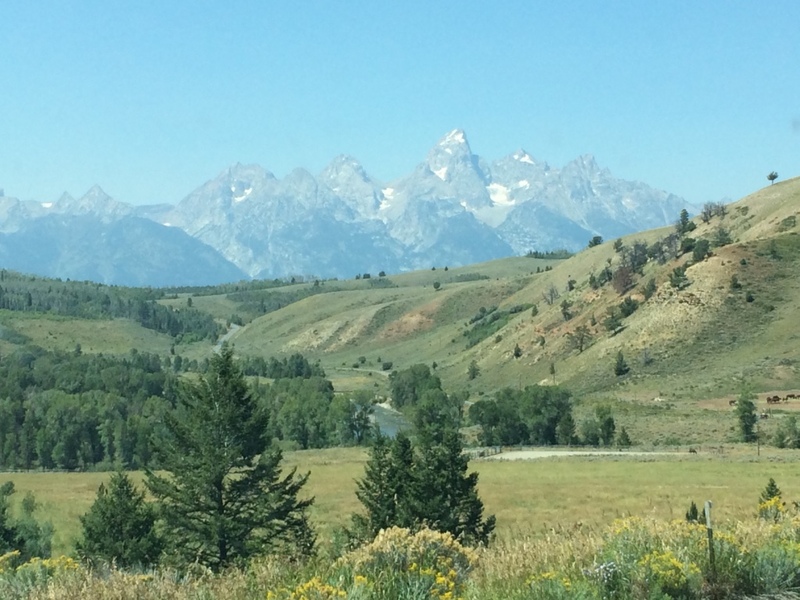 Who do you know that works in the Grand Tetons? 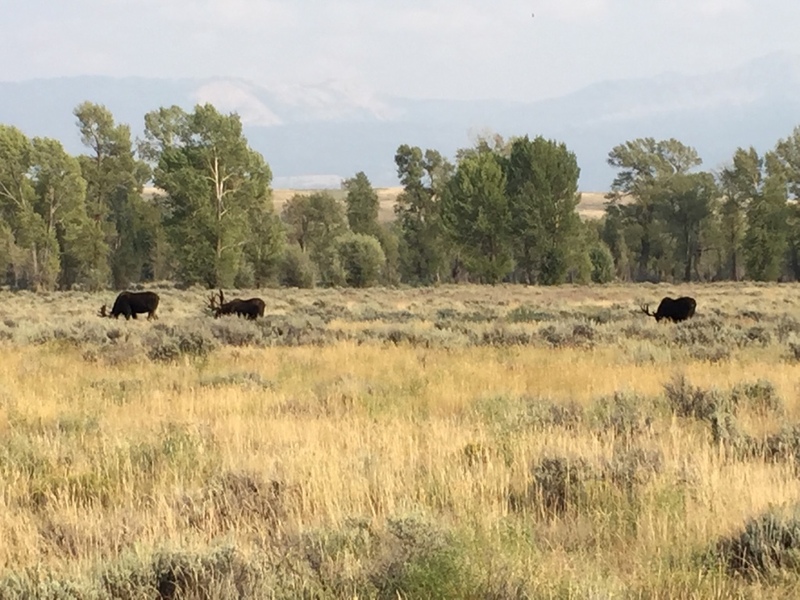 The Visioneers do, right alongside of wild moose as they hang out in Jackson Hole, one of the coolest destination vacation towns in the United States. 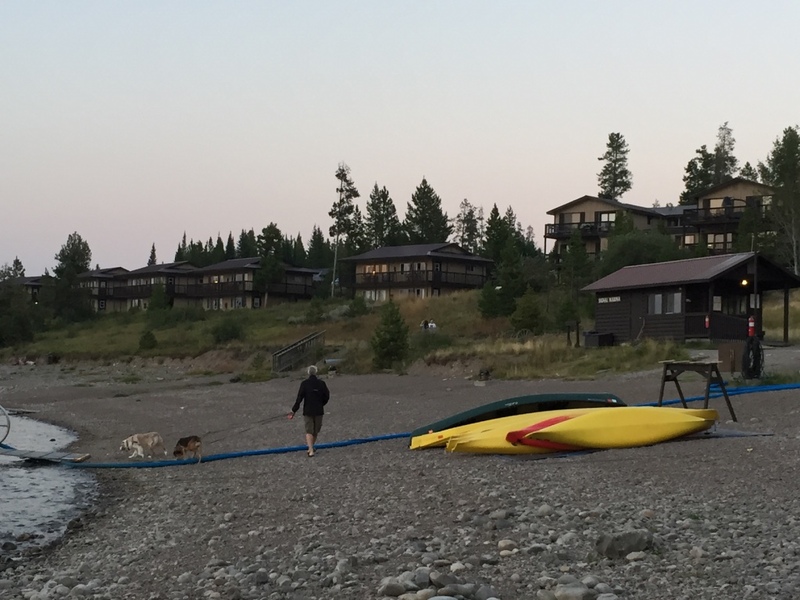 Andrew and his family enjoys mountains of fresh air while attending luncheons and conferences on work-life balance engaging his clients in world-class coaching and consulting. 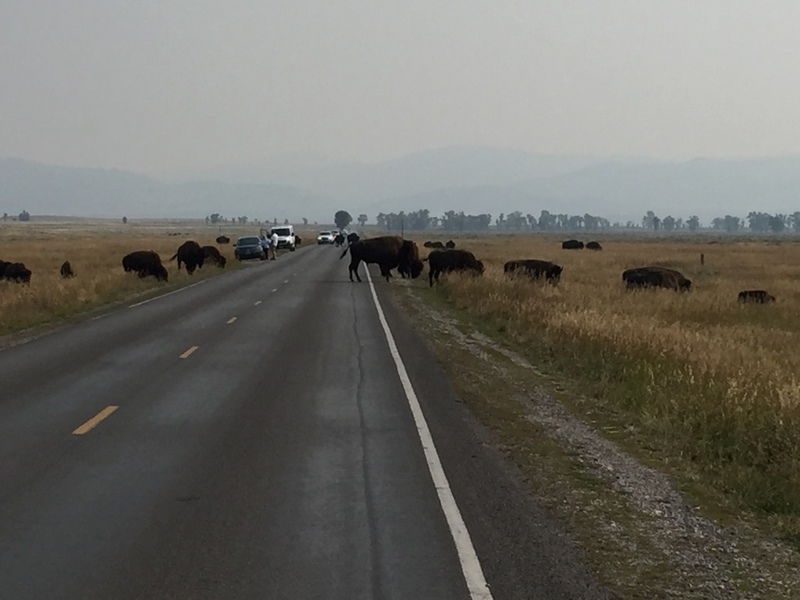 Their last day in Jackson Hole, they spotted a large herd of wild bison. 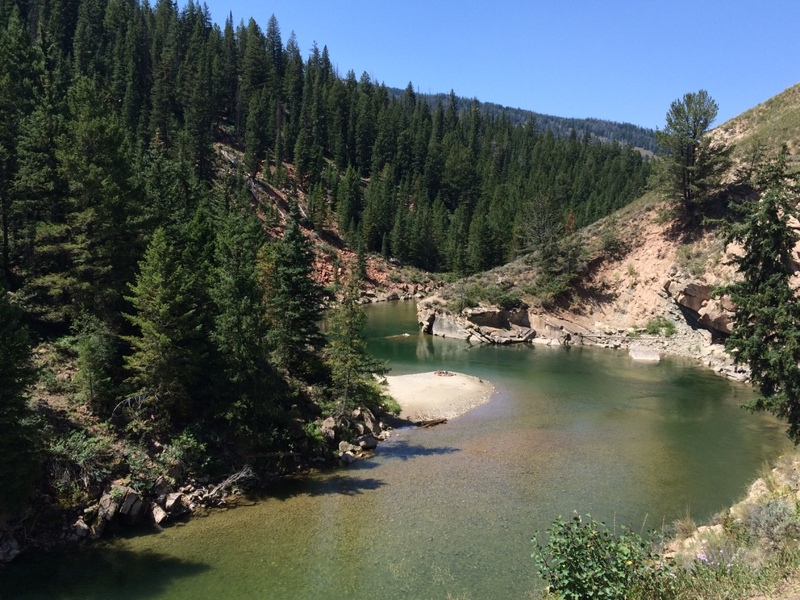 Whether conference calling at a campground, Skyping in Steamboat Springs or presenting in Poudre River Canyon, the Visioneers are Visioneering their way across the continent, making new friends and clients all along the way. The Moosetags – Brian and SuEllyn – are two such new friends. 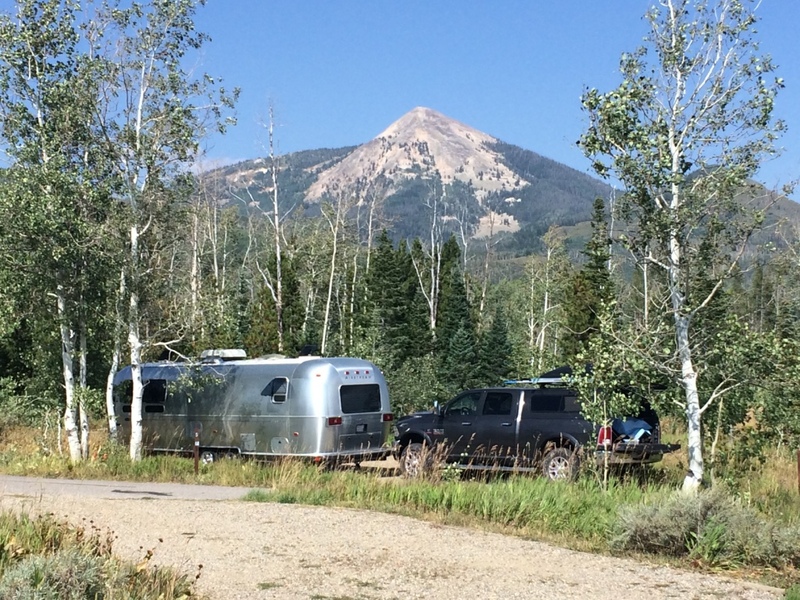 They own an Airstream and are big contributors to the online Airstream Forum. 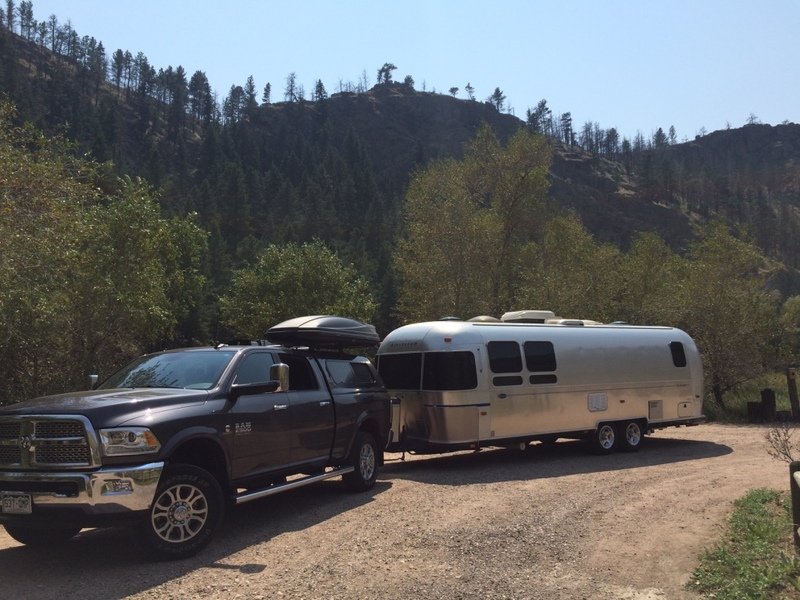 They provided a lot of great tips on Airstreams and RV living and traveling, sharing lots of great advice like how to hook and unhook the Hogans’ Hensley hitch. This hitch, apparently, allows the Airstream to be driven gracefully past semi-trucks with little to no disturbance. i.e. no swaying at all from the trailer. But, like all good things, the best things in life can often be complicated too. This hitch is a little tricky, and it would’ve taken Andrew years to figure out what Brian and SuEllyn so graciously demonstrated in minutes. 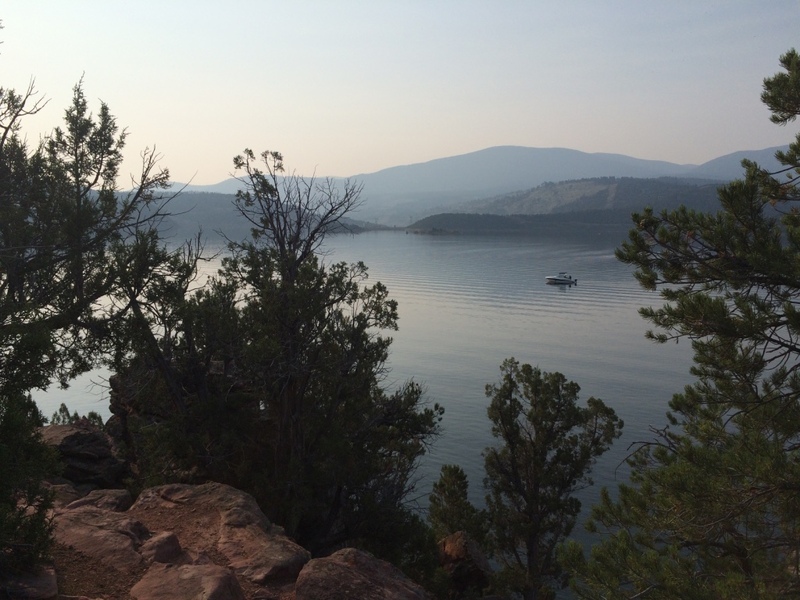 With that new hitch and Airstream firmly in tow, the Visioneers made their way through Utah and stayed the night in Flaming Gorge State Park. 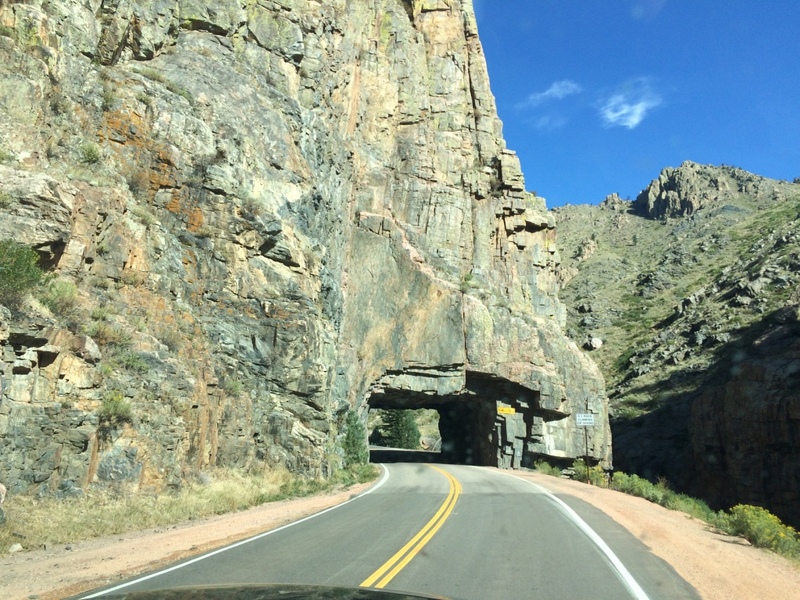 This consisted of a death-defying drive up and down a hair-raising road, beside the Horsetooth Reservoir. 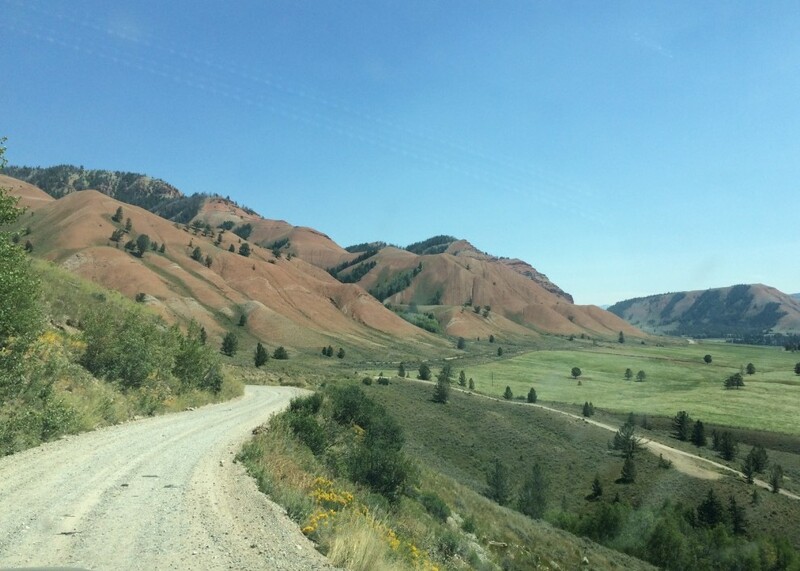 While driving along, Andrew had spotted a sign that read, “You are about to drive on a Level 5 road.” Having never seen such a sign before, he cautiously proceeded, not realizing that a Level 5 road means heading straight up and straight down with little to no grading or switchbacks to help make the driving more manageable. While the Visioneers may have scarcely survived this courageous commute, Andrew admits they will be avoiding any Level 5 roads from now on. They camped out at Boyd Lake State Park in Loveland, Colorado. 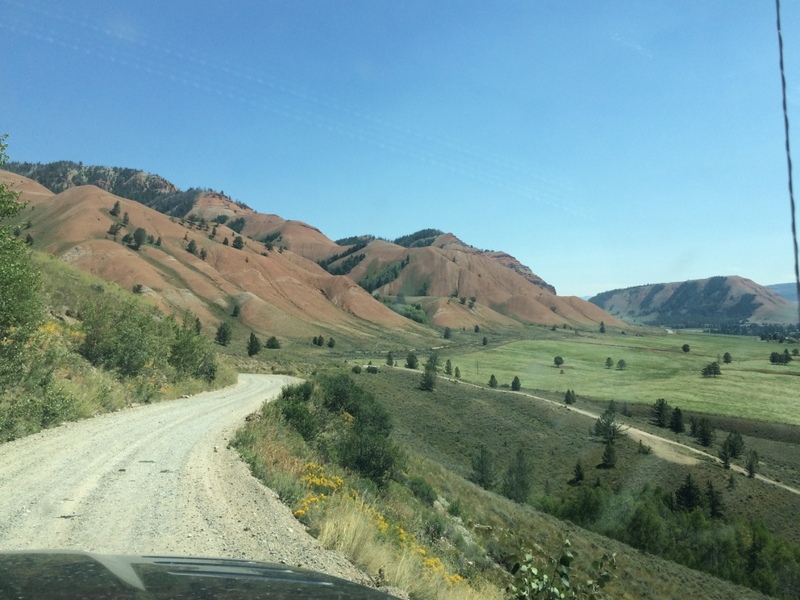 In between traveling and consulting, the Visioneers hooked up their generator and used it for the first time, a test run in “boondocking” – a term RV’ers use when referring to camping “off the grid” – that is, with no electrical, sewer or water hookups. They use battery operated candles for lighting and the Airstream fridge and stove operate off propane mounted at the front of the trailer. So while the rest of the world work their nine to fives in cubicles and skyscrapers, the Visioneers are busy adjusting to life on the road. 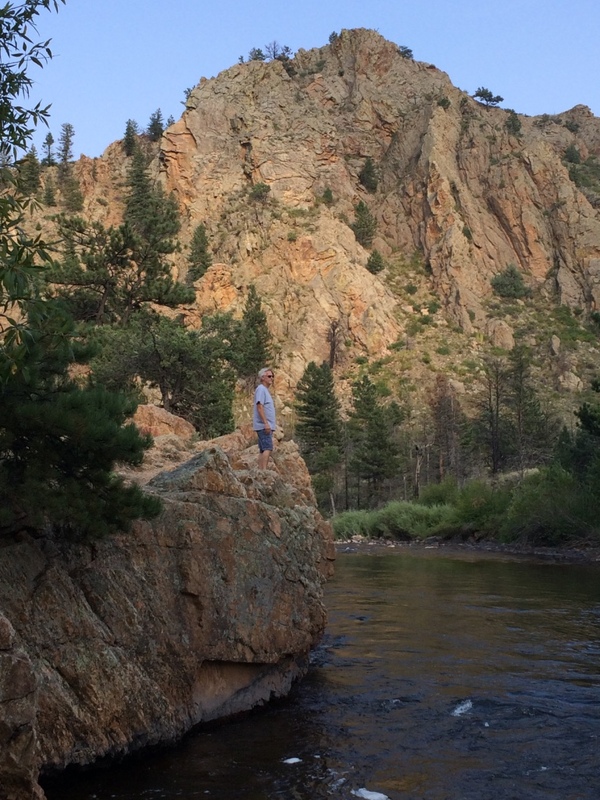 Hanging towel racks, replacing shower heads, cleaning windows and climbing mountains, they are one of the very few and the very brave who can lay claim to a corner office with a view in places like Fort Collins. With bears, coyotes, mountain lions and weak cell signals being some of the only obstacles standing in their way of a productive boondock work environment, the Visioneers lumber their way across the continent, with their compass pointed due east, toward Kansas City, then onward through North Carolina, and up the eastern seaboard to take in the splendor of autumn colors as they grace America, the Beautiful. Living and enjoying life, helping others ~ oh the adventures! May God bless you on your journey, keeping you safe (and off those level 5 roads!). I look forward to hearing more as you travel. This really brought a smile to my heart ~ so happy for you.